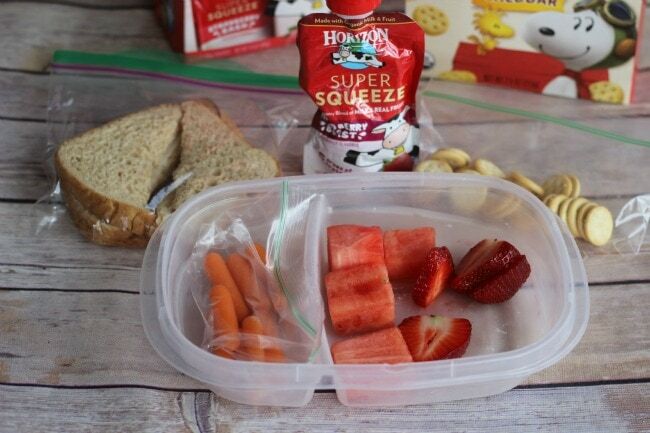 I wish I could say that I was the mom that made only healthy lunches for my kids. I would show you pictures of fresh salads and edamame snacks…but that is a fantasy. Instead I am the mom that packs lunches that are as healthy as I can manage while still saying in the confines of the food my kids will eat. 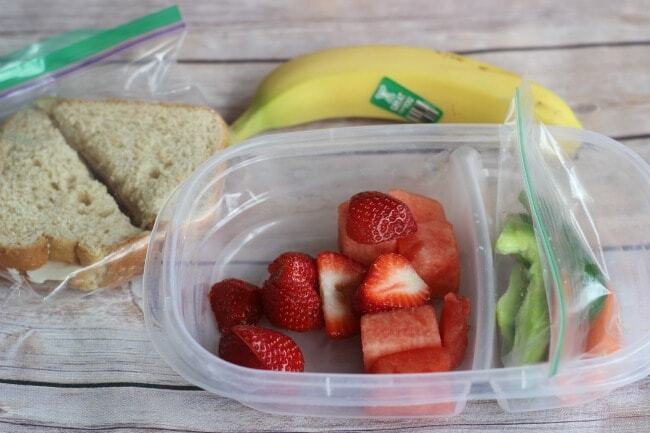 Packing lunches for picky kids is not easy. So I had to come up with a way to “sneak” in the healthy stuff. 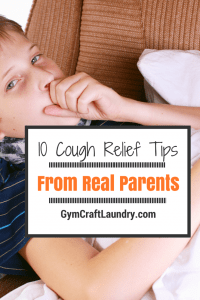 Here is a bit of practical advice to do the same for your kids! I want my kids to eat well. I want my kids to make nutritious choices. But let’s be real–I have no control what makes it into their mouths while in the cafeteria. They choose whether they will eat it or simply be hungry all day. I know from experience that Pea will refuse to eat what I pack her and go hungry by choice. This is difficult to handle as a mother because she is drastically underweight as it is. She will gorge on food she likes and willfully refuse those she doesn’t like. 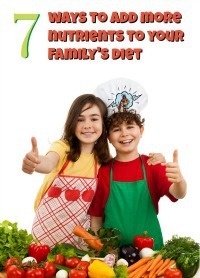 Find the foods satisfy both Mom’s desire for nutritious food and the kids’ tastes. So I have accepted that my job as their mom (and each family is different) is to pack lunches that are as packed with as many nutrients as possible but that they will actually eat. My priority is making sure they eat. My children have different nutritional focuses and needs. My son is growing by leaps and bounds and very active. I emphasize the proteins and calcium rich foods that he needs while also including fiber rich foods that he will eat. He is not fond of vegetables. I also prefer to make lunches as quickly and efficiently as possible. My kids food pantry has evolved over the years. I still use the low cupboard for kids granola bars, cereals, and snack items. I like to open the boxes and put the individually wrapped food in plastic shoe boxes. 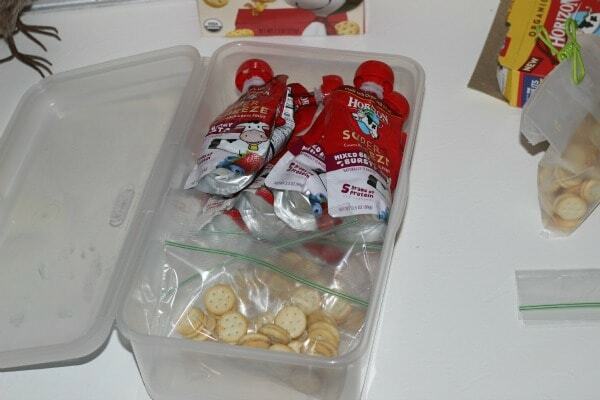 In the morning I just slide out my plastic snack box and grab the snacks I need. Having a centralized kids lunch area does make it so much easier for me! I just moved a mini fridge that we haven’t been getting any use out of close to my kids cupboard. Now I have everything I need for school lunches in one area. 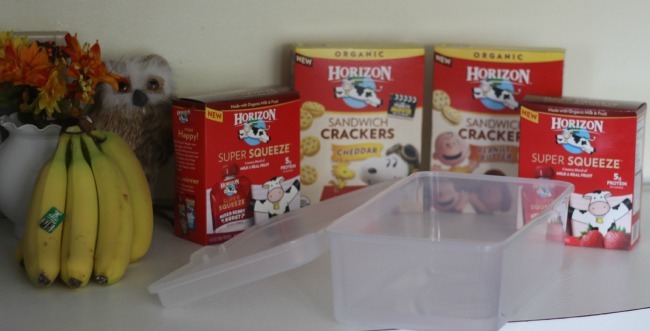 Horizon also has yummy organic Sandwich Crackers that come filled with organic cheese or organic peanut butter. Keep an eye out for the The Peanuts Movie characters on the packaging. I can’t wait for the movie to hit theaters on Nov 6! My favorite character has always been the teacher :). When you take the time to find a compromise between what the kids want and the nutritional value Moms want, the entire family benefits. 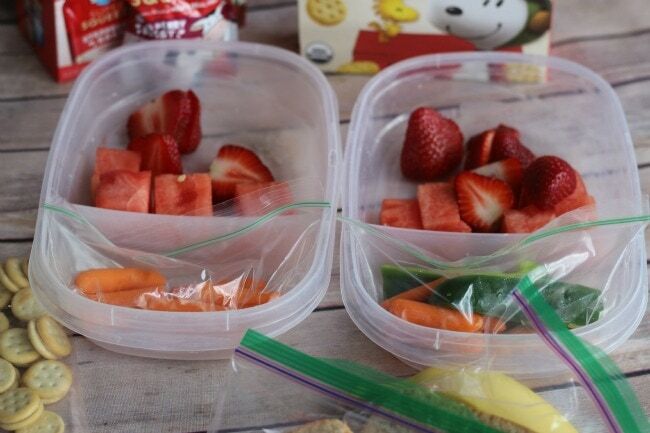 I pack similar lunches for both of my kids with a few differences. 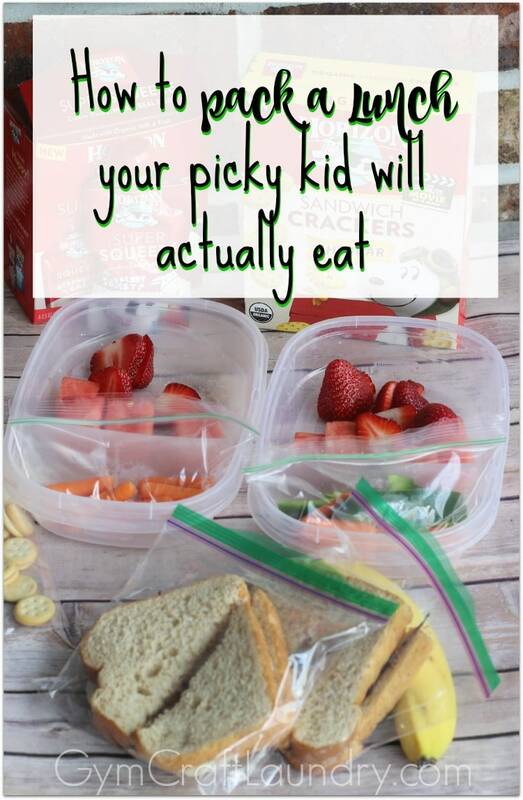 Luckily for me, my kids do not prefer a variety of different lunches each week. They are perfectly content having the same lunch every day. Both kids like turkey sandwiches on wheat with no condiments. Both of my kids also love fresh fruit. Pork Chop likes carrots but doesn’t eat most other vegetables without parental encouragement. (IE without me watching him put it in his mouth…) The Horizon snacks and pouches are a good way for him to get calcium and other vitamins and minerals. Pea loves vegetables. She prefers raw green bell peppers, carrots, celery. I always add plenty of green veggies because she is allergic to dairy. Calcium doesn’t only come from dairy, thank goodness. With slight adjustments, they each have a lunch that we all are happy about. 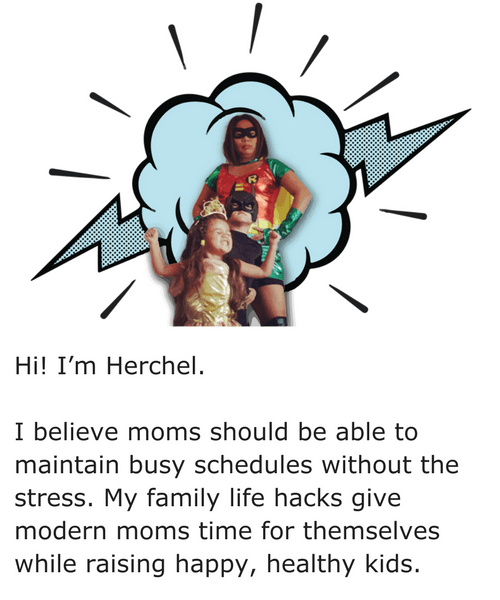 Packing lunches can be a pain when you are a busy family so I hope these tips make it easier for you. They know that I feed them nutrient rich food because I love them. 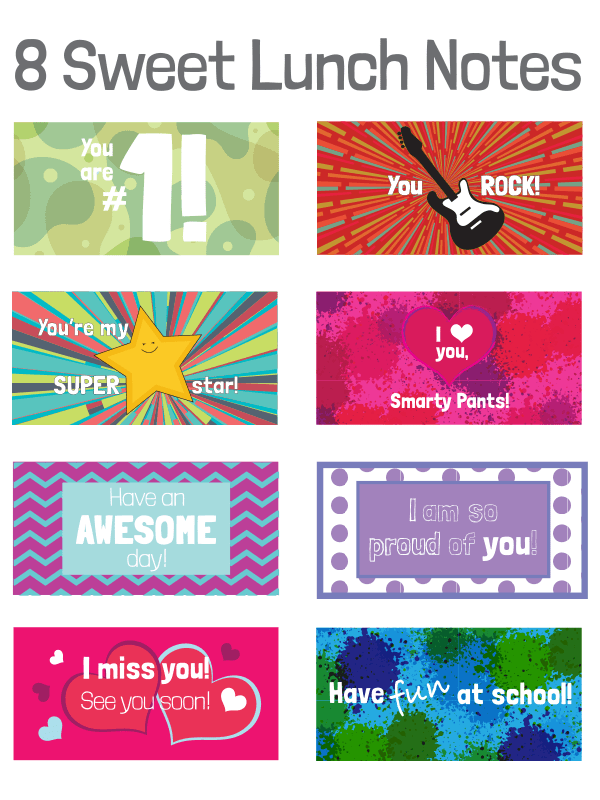 It doesn’t hurt to give them a little reminder with these sweet printable lunch notes! Have you seen the Horizon snacks yet? 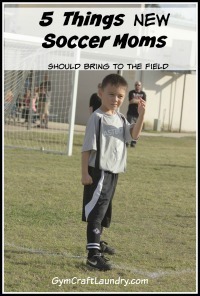 Do you have a picky kid that would love it? Emily recently posted…Join the fun #WhipItUpWednesday craft, recipe, and DIY linky party!